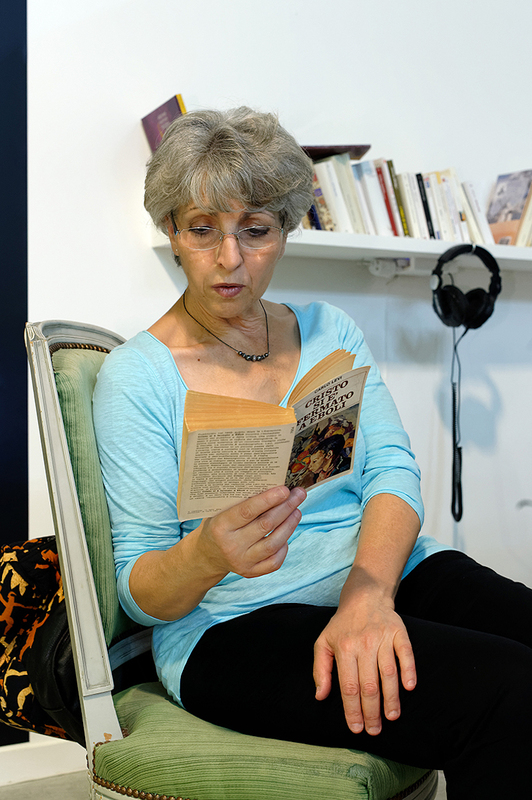 For her residency with the Veduta platform, Marinella Senatore has been interested, she says, “in the history of Lyon from the point of view of its inhabitants.” She has spent months working with very different social groups in the Greater Lyon area, ranging from prosperous suburbs to workers’ housing projects. 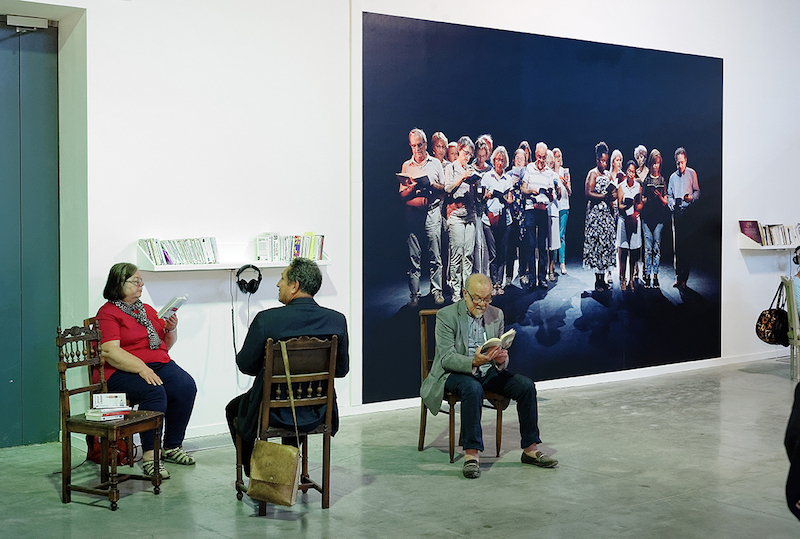 By assembling associations as well as private individuals, brass bands and opera singers, hip hop groups and amateurs, Senatore has been able to create a body of work that includes the creation of a hymn to modern life, – an “official anthem for the Biennale” – which is played throughout the event. 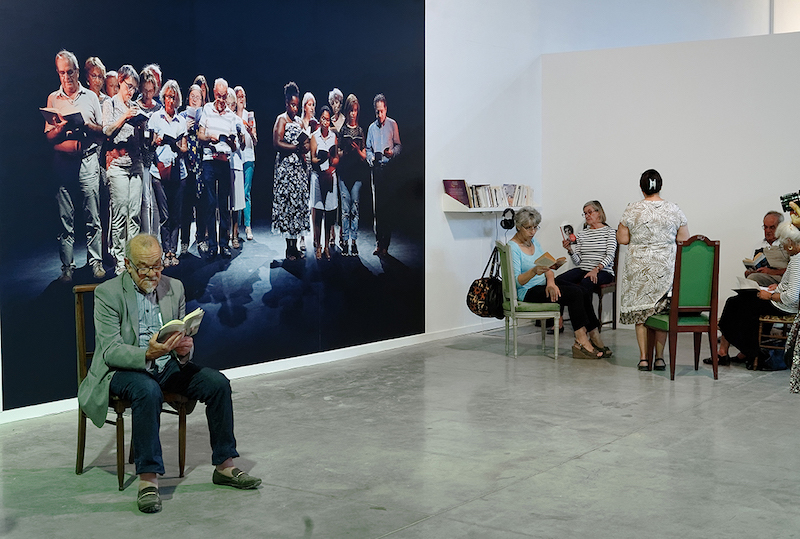 She has organised what she calls “unexpected performances” with music and dance conservatories, amateur musicians, pensioners and various citizens, which take the form of surprise events in supermarkets, local shops and the street during the Biennale. 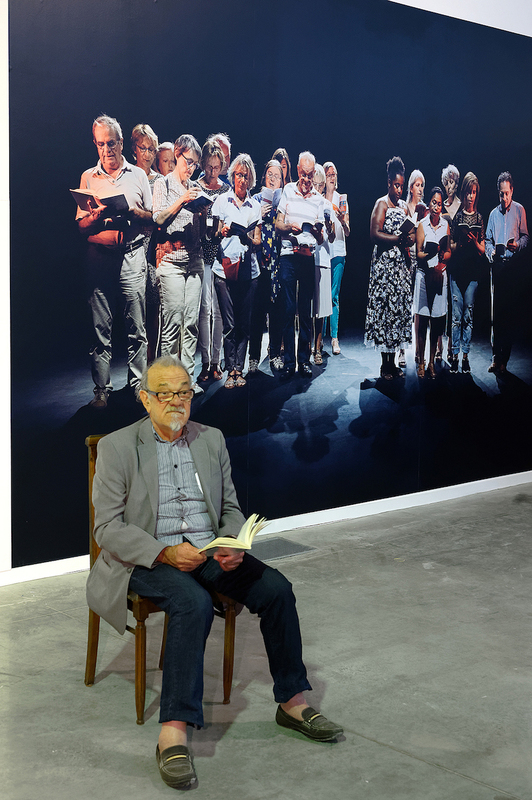 Marinella Senatore is also “opening” the Biennale, during the official speeches, with a choir of blind and visually impaired people, all members of the non-profit group Valentin Haüy. They will be singing Les Canuts, a song written in 1894 by Aristide Bruant, about the 1831 silk workers’ rebellion in Lyon – a song they found relevant enough for our present time. 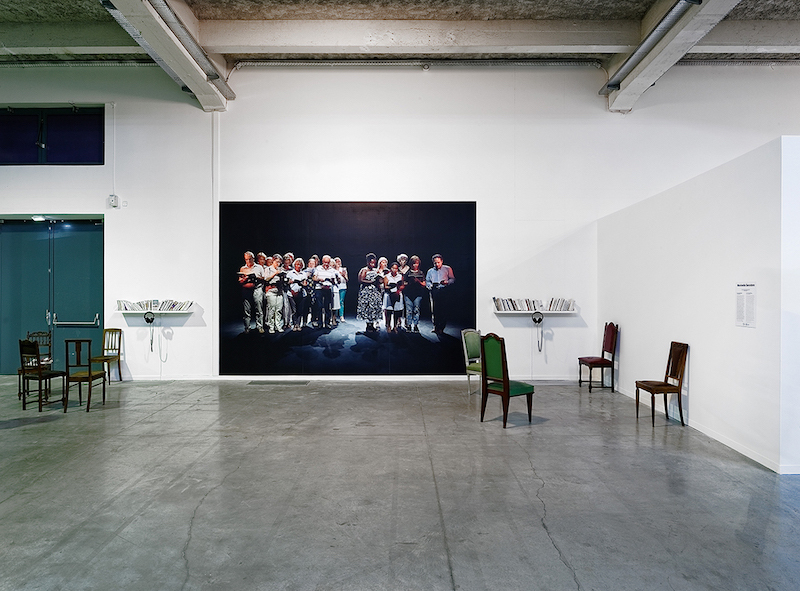 As a testament to her collaborators, Marinella Senatore also presents two large-scale photographs that depict, at life-size, members of the different groups she has worked with to create performances for La Biennale: the visually-impaired choir on the one hand, and a portrait featuring two groups of “readers” from both Saint-Cyr-au-Mont-d’Or and Vaulx-en-Velin, which is placed next to shelves filled with the books they have chosen themselves to read aloud in the exhibition spaces of La Sucriere. 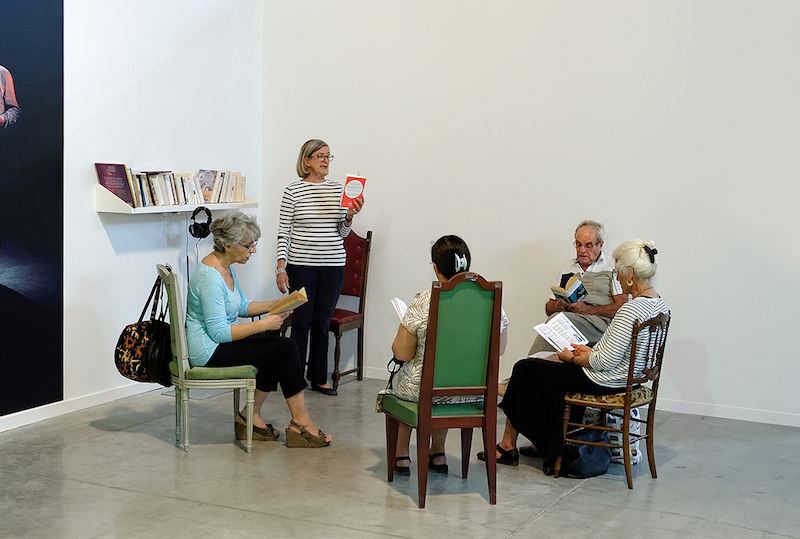 Throughout the Biennale, groups of readers will read from those books, in various languages that range from French to Italian, Japanese to Persian, Arabic to Portuguese, Creole to Cambodgian, thus creating a Babel tower of language whose recordings can also be heard when the readers are away.